Originally a part of the performance 5 (2003), & is a duo created by Mat Voorter with Thomas Hauert. Mat Voorter’s piece is the result of a long-held wish to dance a duo with Thomas Hauert. Its basis is the deeply rooted and natural tie between the two dancers. 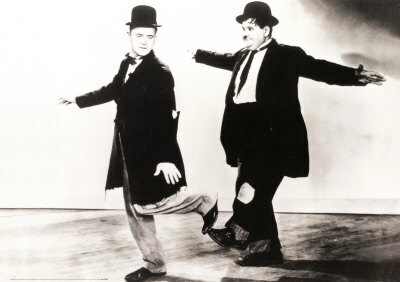 Their affinity is similar to that of stage or screen duos such as Laurel and Hardy. & takes the pair on a shared crossing, a journey through experience. This trip’s structure rests on the concept of evolution, of transformation. The permanent interaction between movement and the mental images it calls up produces a vital flow. The dancers are ever attentive to the images brought about by their gestures. They then absorb these suggestions to create original movements through successive mental connections: an image makes them move and this movement causes other images to appear. Sometimes they improvise on set images, bringing a specific quality to the movement; then again their associations are entirely free. By diving into their imagination they establish a direct connection to their inner being, which gives their movements greater density. Coproduction Kaaitheater, Brussels (BE) / Centre Pompidou-Les Spectacles Vivants, Paris (FR) / Festival d’Automne, Paris (FR) / CODACO, with the support of Cultural 2000 programme of the European Union. Support: Ministerie van de Vlaamse Gemeenschap-Cultuur, Vlaamse Gemeenschapscommissie, Pro Helvetia, Ein Kulturengagement des Lotteriefonds des Kantons Solothurn and SACD.